Valentine’s Day is right around the corner! One more week and everyone will be opening cards, receiving red roses, and savouring boxes of sugary treats. And with all the candy and chocolate involved, sometimes it’s hard to distinguish this holiday of love from Halloween. So instead, ThePoshDish has a gift that’s even sweeter –calorie free and super stylish! 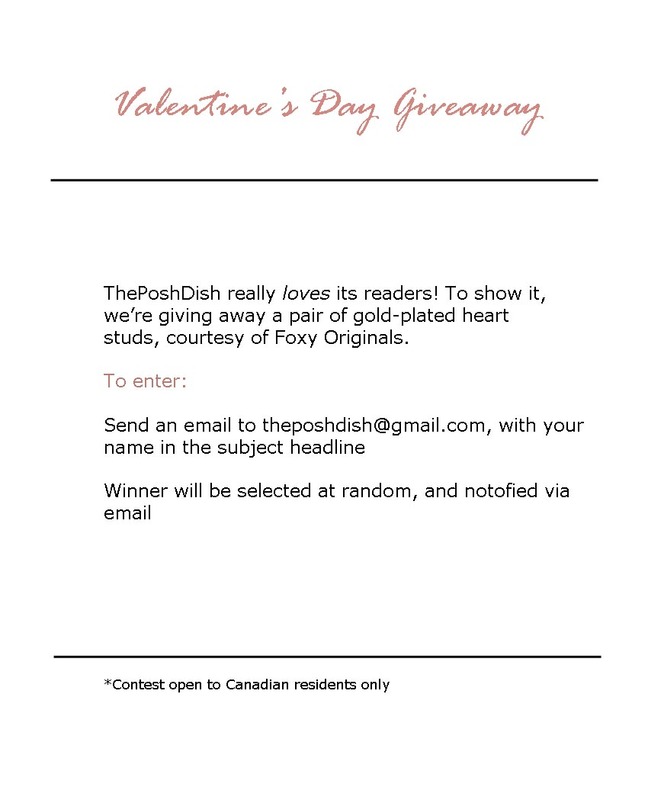 Because you’re such great readers, one of you can win a pair of gold-plated heart studs from Foxy Originals. 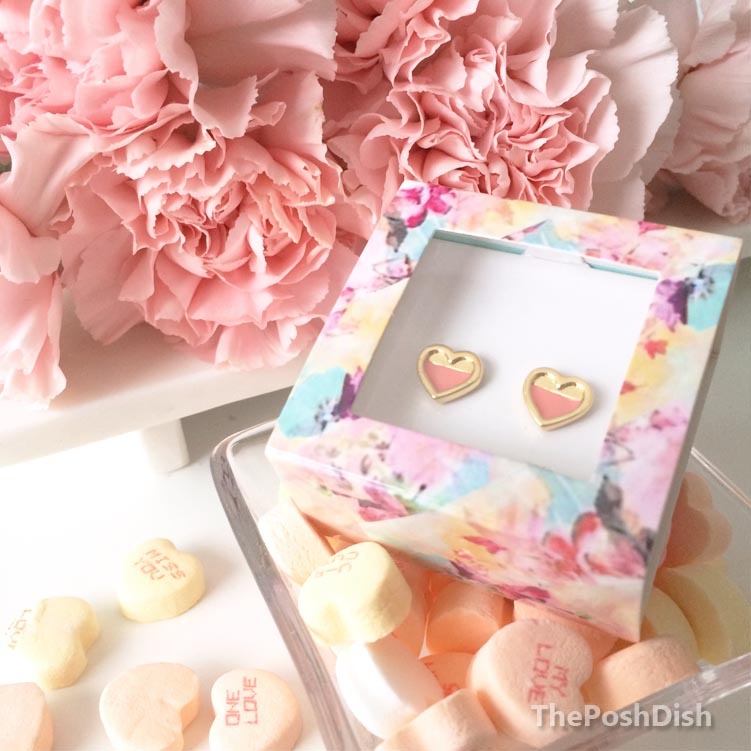 The Scarlett Earrings are part of Foxy’s latest Lovely Posts line, and are enamelled with colour to add a pop of fun to any spring or summer outfit! But what’s even greater is the story behind the brand! To win your own pair of the studs pictured above, click here to like the Foxy Originals page on Facebook in order to be eligible, then see the poster below for instructions. Contest closes on February 16 at 12 p.m. Good luck! The winner is Joy Doucette, from New Brunswick. Congratulations! Say Good-bye to Split Ends!